CFA Academy is a premier institute that imparts quality education to the students undergoing a Chartered Accountancy (CA) course at CPT, IPCC and final level. We have a proven track record for the last 10 years with highest success rate in CA entrance tests. 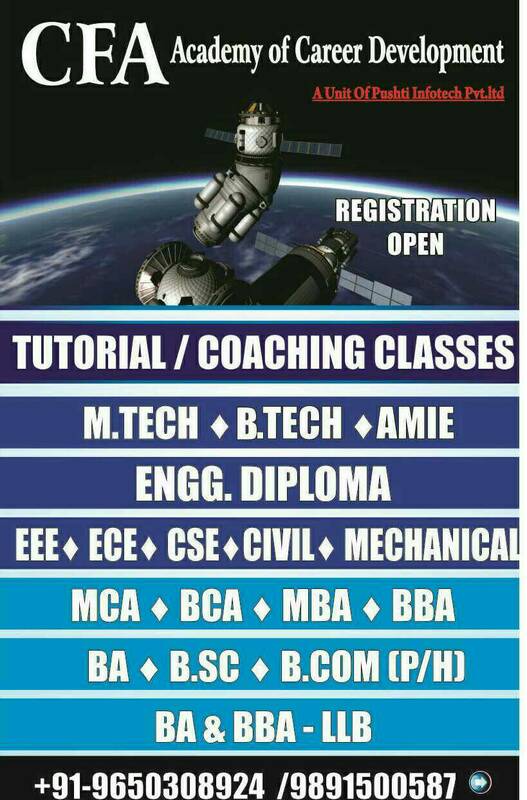 CFA Academy provides tutorial classes for BCA, MCA, B.Sc, BA, BBA and many more. We prepare students for all entrance examination, classes are provided by bet faculty. Enroll now and get free demo class.